Happy holidays and happy new year from all of us at the Penn Memory Center! In the near future, you should receive a copy of InSight, our annual magazine (click the link for a digital copy). If you don’t receive a copy and would like one, please let me know. The Communications Team has worked hard on the publication, and we hope that you enjoy it as much as we enjoyed writing, editing, and designing it, while recapping 2018. In its pages, you’ll have the opportunity to learn more about our research — especially the longitudinal Aging Brain Cohort study — and also get a look into the many other aspects that makes PMC unique. Read about our three-year history of Memory Café, our ongoing collaboration with the Curtis Institute of Music, and our involvement with the original opera Sky on Swings. You’ll also receive an update on the latest “Art of the Mind” exhibition, which involves copper work by Carl Duzen, our patient and resident artist. Our hope is that the magazine shows you that we do much more here than what you’d expect. And we plan to continue this into 2019 and beyond. We already have a long list of ideas for next year (see below for an incomplete list). The first Memory Café of 2019 will be held on Friday, January 4 from 10:30 a.m. to noon at Christ Church Neighborhood House in Old City. Join special guest Darina Petrovsky, PhD, RN, in learning more about Russian Nativity celebrated on January 7 and hear traditional Russian Christmas songs and carols. Petrovsky is a postdoctoral research fellow at the University of Pennsylvania School of Nursing. She is a pianist and a nurse by training. Memory Café is exclusively for people with memory problems, including Alzheimer’s disease, and their partners/families. The program is free. Please RSVP to Alison Lynn at 215-360-0257 or alison.lynn@uphs.upenn.edu. All 2019 dates are posted here. Our “Empowering Caregivers” spring series will kick off in February. It will be from 5:30 to 7:30 p.m. on Thursday February 7, March 14, April 18, May 16, and June 20 at 241 Ralston House. Caregivers will have access to area experts who will present on a variety of intensive topics from in-home activities to end of life care. Each talk is free and capped at 30 guests. More details about the series are here. To RSVP, contact Felicia Greenfield, MSW, LCSW, at felicia.greenfield@uphs.upenn.edu or 215-662-4523 and note which workshop(s) you’d like to attend. Creative Expression Through Music, a collaboration between PMC and the Curtis Institute of Music, is a new, free program for PMC patients experiencing memory change or those with mild cognitive impairment or early-stage dementia. It’s intended to provide participants with a greater understanding of music, fun new tools for interacting through sound, and creative musical experience that flex their imaginations. Beginners are welcome. Session One will engage participants in collaborative, creative musical experiences and will assess their impact on participants’ mood and well-being. Session Two will focus on creating new music and building the skills and activities of Session One. Participants are welcome to register for Session One, Session Two, or both sessions. Session One will meet from 2:30 to 4:00 p.m. on January 15, 22, 29 and February 5, 12, 19, and 26. Session Two will meet from 2:30 to 4:00 p.m. on March 19, 26, April 2, 9, 16, 23, and 30. All sessions are held at The Curtis Institute of Music in Lenfest Hall, Room LH314. If you’d like to register or have questions, contact Matthew Volpe at matthew.volpe@uphs.upenn.edu. Time Out, a support and mentorship program first launched in 1986, will be coming back in the new year. We will begin recruiting families and caregivers in early 2019. Visit us at www.pennmemorycenter.org/timeout for the latest in recruitment information. P.S. 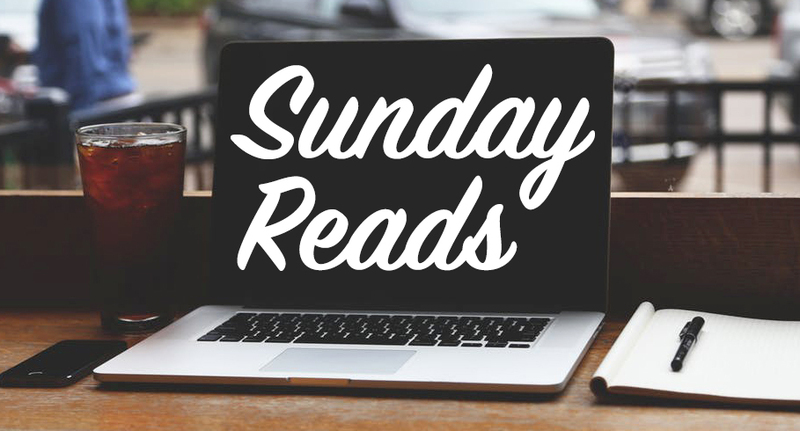 This is our final Sunday Reads of 2018. Happy New Year!